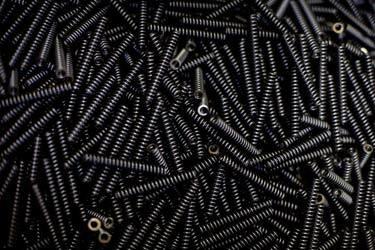 The focus of our automated compression spring production lies in the wire thickness range of 0.15–3.00 mm. 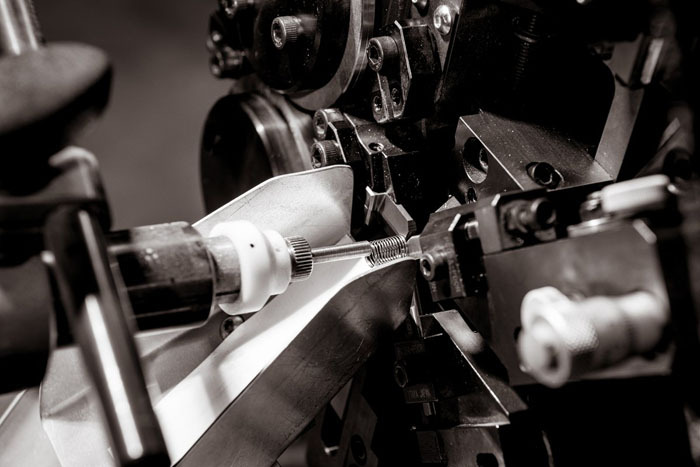 Our modern CNC machines enable the high-quality, cost-efficient series production of compression springs. Production is carried out in accordance with individual technical designs. We always take into account requirements on durability, spring force and maximum relaxation, as well as the external parameters. 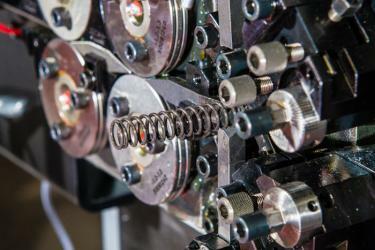 As a manufacturer of technical springs, quality and precision are of the utmost importance to us. In order to ensure reliable production processes, our machines are equipped with automatic length gauges for perfect checking and sorting. Should this not be sufficient for your required force tolerances, we can also carry out an additional 100% force test to assess the spring force. To create a better end coil support surface, end coils with a thickness from 0.40 mm can be ground. This is carried out on spring end grinders. 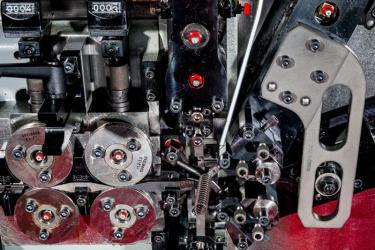 Automatic feeds are used whenever technically possible and economically viable. We carry out individual shot peening processes wherever necessary. 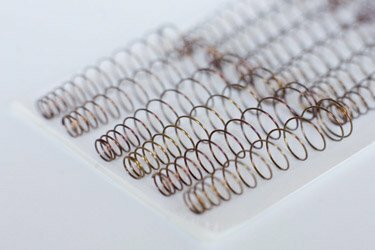 Automatic production of a compression spring with a wire thickness of 1.2 mm, coiled on a Wafios CNC EcoCoiler F2 coiling machine. We process patented spring wires in accordance with DIN EN 10270 such as SH/DH, stainless wires such as 1.4310 and oil-tempered valve spring wires such as Penthor 864 and Oteva 70 SCS. Various special alloys, for example spring bronze, are available on request. 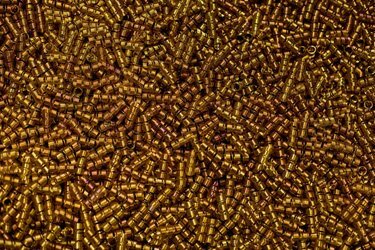 We can deliver our compression springs in bulk, or we shall be happy to provide special packaging to facilitate processing at your establishment.